Public housing tenants would be $1000 a year better off, more comfortable and healthier in low-carbon housing, according to a new study out of RMIT’s Centre for Urban Research, though narrow cost-benefit analyses could stop these houses from taking off. The three-year study funded by the Victorian Department of Health and Human Services involved the construction of four super sustainable two-bedroom “Catalyst” houses in Horsham, Victoria. They also had access to shared 5000-litre rainwater tanks, individual 1.5kW solar PV systems and gas-boosted solar hot water heating. The apartments were built without airconditioning, though ceiling fans and gas heating were included. Seven houses built to the standard six star NatHERS were used as controls in the study. The study used both a typical cost-benefit analysis as well as a “non-traditional” lifecycle approach that factored in elements like running costs as well as health and comfort outcomes. 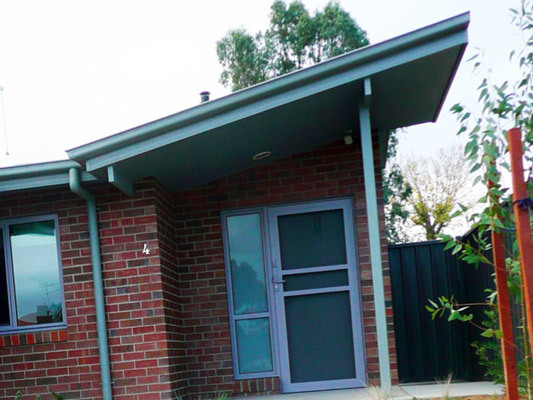 “This is a significant viewpoint in the context of public housing provision, when dwellings are commonly built, owned and managed by the department and house vulnerable people,” a Victorian Department of Health and Human Services statement said. Using the standard cost-benefit analysis, the report found the Catalyst homes were not financially viable for DHHS. The ESD elements of the Catalyst homes meant they cost an additional $75,700 per dwelling, and when maintenance and technology replacement costs across a 40-year period were included, it resulted in an extra $141,700 per dwelling. According to lead author Dr Trivess Moore, a typical cost-benefit analysis ignores wider benefits to public housing tenants, providers and the wider community. “Our study clearly shows that the housing sector’s over-reliance on CBA may be ignoring some important health benefits of different housing arrangements, particularly for low-income tenants,” Dr Moore said. “Households living in the Catalyst houses reported they had extra spending money for Christmas presents, personal debt or holidays, due to low utility bills, with one household reported permanently removing itself from all Centrelink payments due to the amount they saved. He said the DHHS could use the report to “validate the sustainable elements that deliver the best social, financial and environmental value in low-density public housing, and also better inform the housing sector about the link between green homes and tenant’s health”. I’m not surprised the DHHS has not jumped at the opportunity to invest %75k extra per dwelling!!! 4 homes without the $75k for ESD = 1 new dwelling and don’t get me started on that maintenance bill either! The social and health benefits of another eligible tenant/family having a roof over their head(s), access to schools, ability to connect to services IMHO far outweighs Christmas presents!!! Its not CBA at fault here – its reality! We have to stop believing these are times for ‘Rolls Royce’ solutions for the few, we need ‘Commodores’ for the dispossessed, the homeless (often sleeping in Commodores!!! ),and those families fleeing domestic violence etc etc.